A recent clinical study revealed that the rats treated with CBD, a component of Medical Marijuana, experienced a reduction in two types of cytokines (small proteins important in cell signaling) that are implicated in Asthma attacks. In addition to showing that CBD treatment was effective in reducing cytokine levels, the study concluded that CBD probably causes a reduction in the major stimuli of mucus over-secretion, a major cause of asthma attacks. In Asthma, the air passages in and around the lungs swell and become clogged with an excess of mucus. The function of mucus, in part, is to suspend foreign particles in the lung so they can be unceremoniously ejected or removed. In Asthma, excess mucus is produced as an over-response to the presence of dust, pollen, chemicals or other naughty foreign agents. Medical Marijuana works its magic as an anti inflammatory by modulating and normalizing receptors that are over-active. headache or bed-wetting and loss of bladder control in children. *The immune system didn’t evolve for allergy. Why in a hundred billion years of evolution would we evolve a response for allergy?” – Joel Weinstock. MMJDOCTOR: How can Asthma sufferers get legal access to Medical Marijuana? Many Medical Doctors don’t yet know a whole lot about Medical Marijuana, though the trend is very positive. 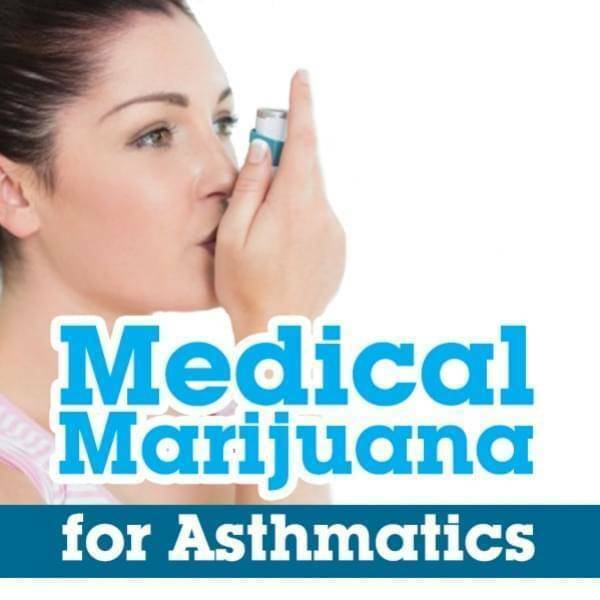 Rather than hunt about and spend time finding a clinic, Asthma patients can schedule an appointment here online to get a legal MMJ Recommendation from a California Licensed Medical Doctor. Apply today.